The new Galactic Toys Exclusive Dragon Ball Z Broly Pop! Vinyl is now available online for $34.99 each. Plus as an added bonus, collectors will have a 1:6 chance of receiving a Glow-In-The-Dark chase figure. 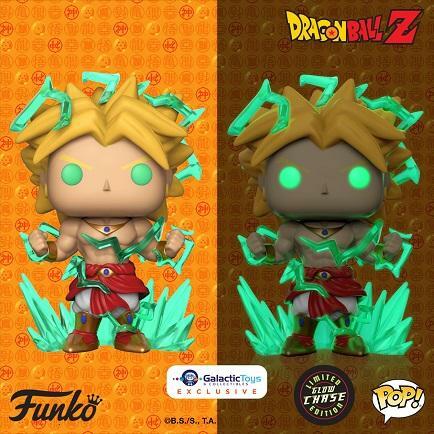 Click on the link below to order the new Galactic Toys Exclusive Dragon Ball Z Broly Pop! Vinyl today. Previous articleNew Missing Link Pop! Vinyls Now Available Online! Next articleNew Funko Shop Exclusive Fantastic Beasts: The Crimes of Grindelwald GITD Zouwu Pop! Vinyl Releasing Today! New Hot Topic Exclusive Wonder Woman: Amazonia Pop! Vinyl Now Available Online!